First Editions of Master Georgie, Harriet Said...; Signed and Rare Books by Beryl Bainbridge - Peter Harrington Rare & First Edition Books. 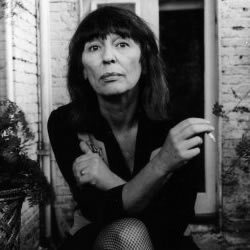 Rare books by Beryl Bainbridge, including first editions and signed first edition copies of The Bottle Factory, Master Georgie, and Every Man for Himself. Dame Beryl Bainbridge (1932-2010) is best known for her psychological fiction set amongst the English working-classes in the post-war years. Often the plot points and settings, as well as characters, are pulled from her own childhood experiences. Five-time nominee for the Man Booker prize, Bainbridge’s work was deemed so influential that the committee posthumously held a separate Booker competition for five of her novels referred to as ‘The Best of Beryl Booker’. Regularly stocked editions of Bainbridge’s work include the first Omnibus edition.